Berlin - Hertha Berlin’s winning start to the Bundesliga season caught many by surprise, not least one of the main protagonists who did not expect to be involved in the first place. 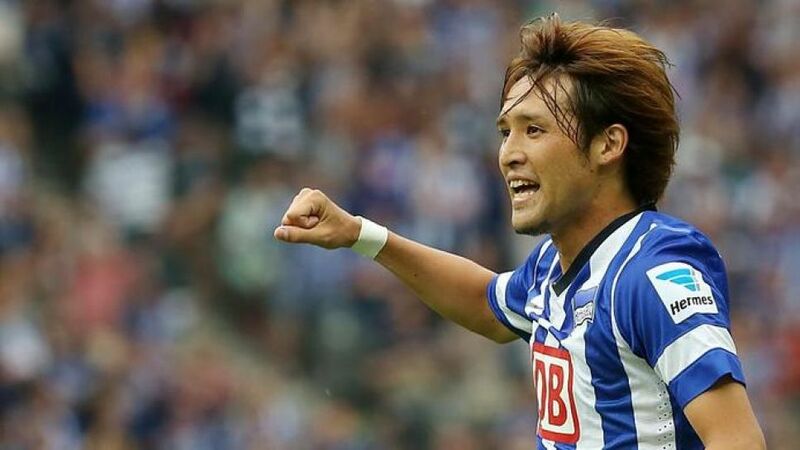 Hajime Hosogai joined Hertha from Bayer 04 Leverkusen this summer having made just 14 appearances in the top flight last term. Despite previously playing under Jos Luhukay for FC Augsburg, the 26-year-old was unsure he was going to be called upon in Hertha’s first game of the season against Eintracht Frankfurt. Not only was he selected by coach Jos Luhukay, but he also put in a display which led to the consensus that he and not double-goalscoring Adrian Ramos or Sami Allagui was the man of the match at the Olympiastadion. “Hosogai was sensational for me today,” said Luhukay, more than satisfied with his choice of the 18-time Japanese international. “We know he has a great deal of class,” said Hertha captain Fabian Lustenberger. “He’s a Japanese international and you don’t become that by doing nothing. He played a very, very good game.” Pulling the strings in the Hertha midfield, Hosogai soon looked at home in his new surroundings - his third address in Germany. His assist for Hertha’s fourth goal was one of numerous defence-splitting balls which more often than not found their man - only an astonishingly small 15 per cent of his passes went astray. And alongside Lustenberger and Alexander Baumjohann in a ‘Berlin triangle’ midfield, there was no sign at all that he had started pre-season so late. After Saturday's outing there's no doubt the 54,376 fans, who found out during the 90 minutes exactly what Hosogai is capable of, will be eagerly anticipating what the Japanese international has up his sleeve for the rest of the season.